Accessing DisasterAssistance.gov Calling 800-621-3362; TTY 800-462-7585. Applicants who use 711 or Video Relay Service may call 800-621-3362. The toll-free numbers are open 7 a.m. to 10 p.m. seven days a week. Talking face-to-face with a specialist at any Disaster Recovery Center (DRC) location. 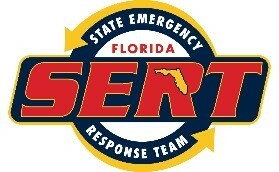 Go to Floridadisaster.org/info/#drcs for a list of DRCs. Survivors who update their information must provide their nine-digit registration number which is listed on all correspondence from FEMA. Call SBA’s Disaster Assistance Customer Service Center at: 800-659-2955, TTY 800-877-8339 or Video Relay Service (VRS) 800-659-2955. If the application is not approved, survivors may qualify for an Other Needs Assistance (ONA) grant through FEMA. ONA may be used for disaster-related child care, medical and dental expenses, automobile repair or replacement, and for damaged household items such as clothing or necessary educational materials.